Photography Blog has tested a so called ultra zoom camera from Olympus that sports 21x optical zoom. 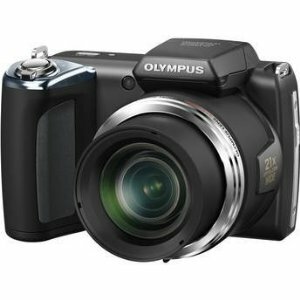 The Olympus SP-620UZ also has 16 megapixels and the ability to record HD videos. Photography Blog ends up giving the SP-620UZ a “Recommended” rating with 4 out of 5 possible stars. The Olympus camera scores highest on value for your money, a little lower on ease of use and image quality, while it scores lowest on features and design. If you are looking for a budget zoom camera this might be your choice, but do not expect all the features that you get from other camera models. Read the full review of the Olympus SP-620UZ ultra zoom camera here.